Roll off Trailers are for Sale at BENLEE. 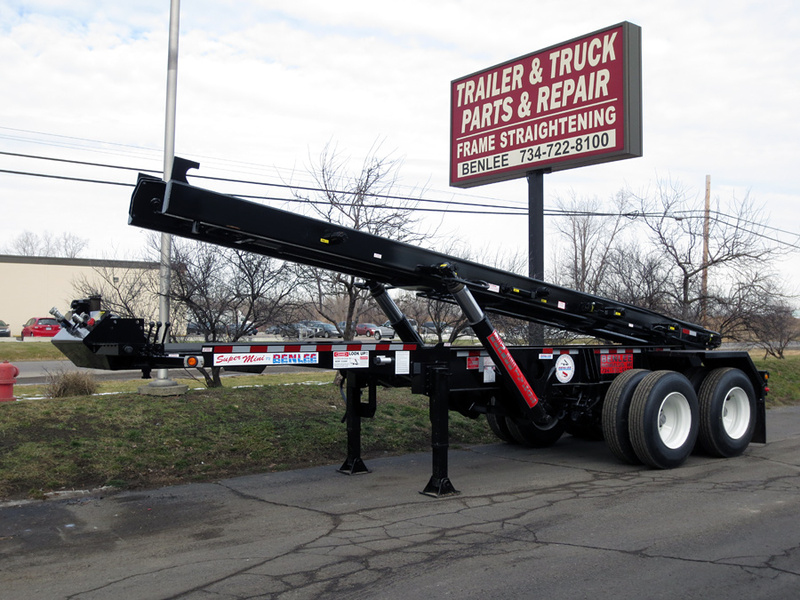 We are the largest Roll off Trailer manufacturer in North America. We stock roll off trailers for immediate delivery. We sell trailer to all areas of Georgia on a regular basis, including Atlanta, Augusta and more. This includes zip codes such as 30906, 30349, 30066, 30022, 30083, 30093, 30044 and more. We have 80,000 GVW Trailers that carry 20, 30, 40 Yard boxes as well as 60 and 80 yard boxes. We even have a roll off truck replacement trailer called the Super Mini. We also sell to Columbus, Macon, Savannah, Athens, Sandy Springs, Roswell and more. Call us today at 734-722-8100.